One cannot understate the importance of the patient intake process. The results of a survey conducted by the U.S. Bureau of the Census indicated that there were nearly 126 million visits to non-federal, short-stay hospital outpatient departments in 2011. Considering the ongoing migration of care from inpatient to outpatient settings, that figure has likely increased over the past seven years. Every one of those visits likely required the completion of the patient intake process. For new patients, the process may be the first direct interaction with a healthcare organization. For returning patients, the experience can feel like an administrative burden that's only serving to delay their progress. Considering the frequency of the patient intake process, it's an area ripe for improvement efforts. An easier, more efficient intake process can deliver substantial benefits, including raising patient and staff satisfaction, reducing staff workload and increasing staff productivity, decreasing data errors, and boosting collections. Here are five ways you may be able to improve your organization's patient intake experience. Some of the first steps in your patient intake process should be to determine the patient's preferred language and health literacy. Ask patients to identify their preferred language and then provide patient intake documentation in that language. If you give patients documentation in an unfamiliar or less familiar language, and they do not feel comfortable speaking up about the challenge they are facing with completing your request, it may take some time for you to discover and remedy this situation. It is advisable to have documentation available in the most common languages spoken in your community and a translator available — on site or through an off-site translator service — to assist with other languages. Patients with low health literacy may also struggle to complete intake documentation — or do so correctly. Develop a screening process for health literacy and a process for how you will assist those patients with low health literacy. As with language, failure to address this barrier up front will create more work for staff and patients. It may also add stress to the patient's experience. 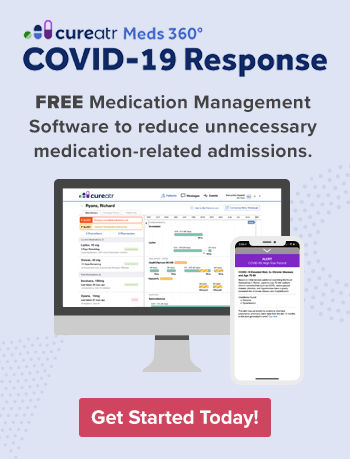 Your electronic health record (EHR) software may include a patient intake module or you may have the option of adding such a feature to your system. Research whether the option exists and how it can benefit your patients, staff, and organization. Before choosing to implement a solution, demo it and gather feedback from stakeholders, include frontline staff who will interact with the feature daily. If you have the option to trial the feature, request feedback from patients on their experience. I would also add that you need to configure the intake module based on your hospital’s specific workflows and processes. No two hospitals operate the same way, so an “out-of-the-box” intake module may not be a perfect fit. You can also consider whether to purchase a patient intake management solution that can integrate with your EHR. According to Healthcare Dive's coverage of a KLAS report, about 60% of ambulatory practices polled for a survey said using patient intake management systems "increased efficiency and allowed them to focus more on the patient experience," with these solutions also reducing the overhead costs associated with processing patient forms and handling check-ins. These products are gaining more attention, as evident by KLAS's decision to launch a new evaluation category for patient intake management solutions in 2018. Note: As with the EHR module, demo any system you are considering and gather staff — and, if possible, patient — feedback. 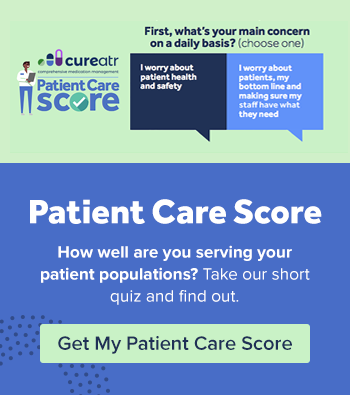 To help ensure they receive the safest care possible, patients are expected to provide detailed information on their health history in patient intake documentation. This information often includes medication history, allergies, family history, information on primary care doctor, medical conditions, and history of hospitalizations. Patients also usually need to provide copies of insurance cards and identification cards. That's a lot for patients to remember, especially when they may be focusing on their condition and treatment. The use of electronic messaging, such as through email and text, can help remind patients of what they should bring to their appointment so they can complete documentation. You can also use such communications to remind patients of other responsibilities, including payment and preparation (e.g., fasting). Many HIPAA-compliant, secure messaging platforms are available today. When evaluating your options, look for features like patient-centric messaging, photo and file share capabilities, and secure external messaging. The patient intake process is critical to starting or continuing patients on their treatment journey and it can set the tone for a patient's entire experience at your organization. These reasons alone justify the value and importance of monitoring and measuring its performance. Look for opportunities for improvement and problems that can impact everything from intake completion time to accuracy of information captured. When you identify such opportunities or problems, act on them. Implement changes and then monitor and measure those changes to ensure they have their desired effect(s). Another way to gauge the success of your patient intake process and identify possible worthwhile changes is to ask patients and staff about their experiences and whether they have recommendations for how to improve it. You may be surprised by what you learn.